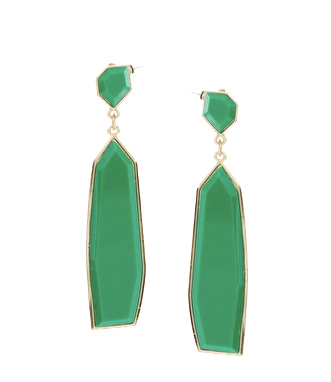 We love these emerald green earrings from ASOS! This gorgeous color is popping up in fall collections, and we couldn't be more excited! For a glamorous look, pair these earrings with an evening outfit or wear them with a t-shirt and jeans for a more relaxed rocker vibe.